Just recently I posted on Facebook that spring is in full force around here. 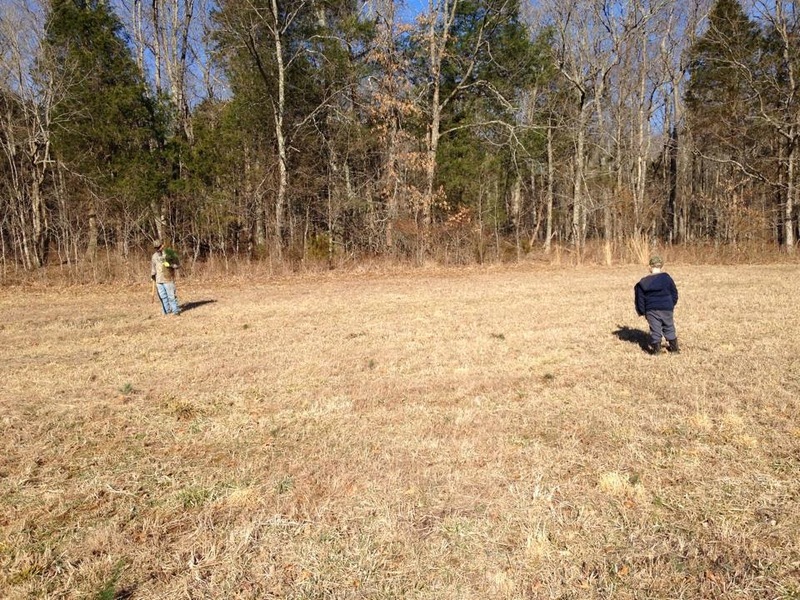 We have been getting ready to plant our garden and food plots for the deer. I'm also doing a bit of spring cleaning and de-cluttering. The weather is warming up and all the trees are budding and blossoming. We took a trip to our local Wal-Mart last weekend and purchased some kits to start seeds indoors. This will be the first garden we've had since moving from Michigan. I am looking forward to it...I think. When I'm weeding in ticks and 110 degree temps, I might feel differently. We planted some berry bushes and bought some strawberry plants too. The best part of starting seeds is watching my boy get excited about them sprouting. He's really getting into to it. Now we'll wait and see how excited he is about going out and weeding this summer! 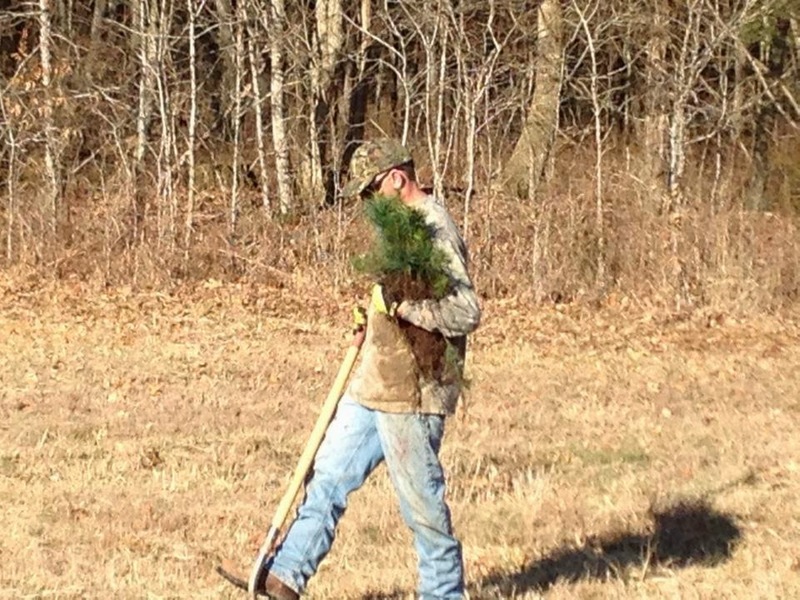 To help with our deer hunting we recently planted 440 pine trees in our back field for more cover. I was thankful to have nice weather the days we did it. We celebrated my husband's birthday on Tuesday. I had a doctors appointment with the foot doctor so we took him to work that morning and then went and got some presents We got him a cake and balloons. It was a nice evening spent celebrating my husband. I looked ahead in our schooling yesterday and from my calculations we have about eight more weeks of schooling to go for the year. I'm already thinking about next year's curriculum and what I need to get ordered. Yesterday, we spread about eighty 40lb bags of lime on our food plot fields. We still need to fertilize and plant them. We're all excited to get that done and for the deer to start using them. Glen did a lot of work cutting trees this winter so they will brush up and make more cover. I hope he shoots a monster this year. He deserves to because he puts so much work into the farm for the deer. My husband would be happier seeing one of us get a big deer. That's how he rolls because he's awesome like that. I'm going Saturday with my Bible study girls to dinner and to see the movie God's Not Dead. I always love a girls night out! We're also getting ready to start planning VBS, our yearly Famine with the youth, and Easter. Busy, busy, busy spring time! !